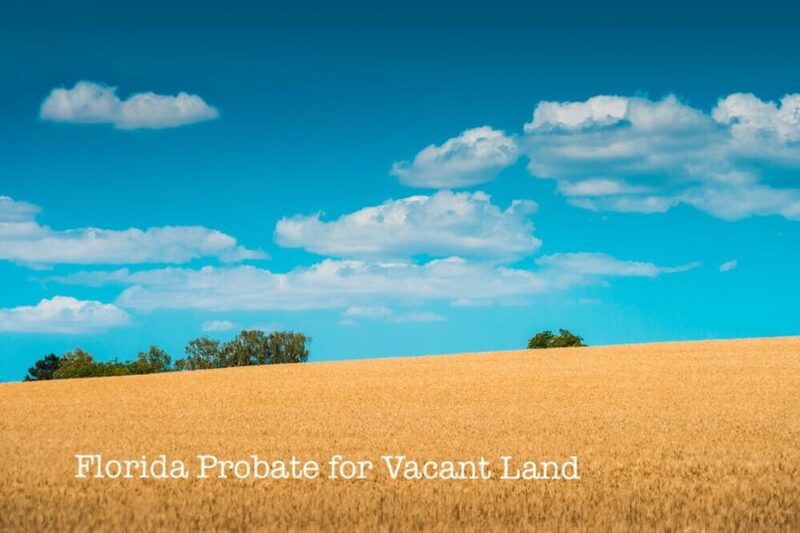 Blog QOTD: Is Probate in Florida Necessary for Vacant Land? If I receive the same question more than 3 times in a week, it is deserving of its own blog post. A fellow called my office explaining that his father was a resident of New Jersey. On a trip to Florida back in the late 70’s, dad unintentionally ended up purchasing a piece of vacant land in Lee County for a tidy sum convinced that one day he would move to Florida and build a home he would retire in. That day never came and he enjoyed his final years in New Jersey. Dad religiously paid taxes on the property every year until he died. Will I need to probate a vacant lot in Florida if I already probated dad’s estate in NJ? Even if the dad’s estate was probated in NJ, the estate should be probated here in Florida as well. New Jersey has no jurisdiction over real estate in Florida. A summary administration might be sufficient if the property isn’t worth more than $75,000 or more than 2 years have passed since he died. 9.9 times out of 10, real estate in Florida require probate in Florida.